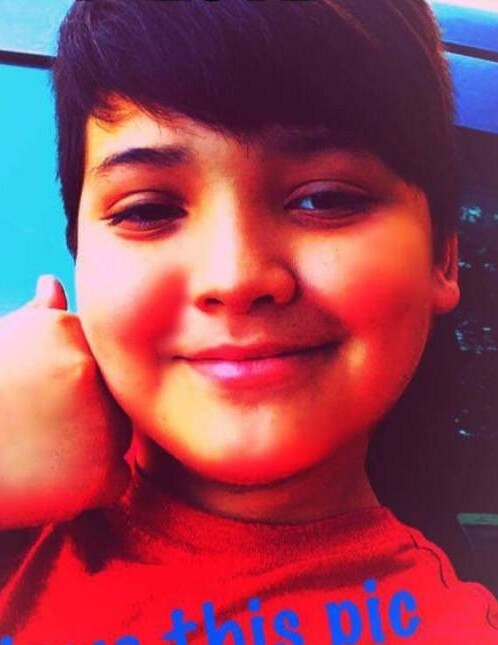 Estevan Fernando Masariegos, age 13, of Axson, Georgia passed away on Saturday September 8, 2018 from injuries sustain in an automobile accident. Estavan was born on December 29, 2004 in Douglas, Georgia the son of Fernando Marida Masariegos of Americus, GA and Lillie Rena Masariegos of Axson, GA. He was a student at Atkinson County Middle School. Estavan was preceded in death by his grandfather, Estavan Merida. Survivors in addition to his parents include; step-mother, Teresa Raina Ortegia of Americus, GA and step-father, Cornelius Burch of Axson, GA; sister, Monica Mae Masariegos of Axson, GA; maternal grandmother, Sonya Harper of Vienna, GA; maternal grandmother, Judy Anderson of Douglas, GA; maternal grandfather, David Anderson of Axson, GA; maternal grandfather, Tommy Wilson of Baytown, Texas; paternal grandmother, Matali Ruiz of Chatas, Mexico; several special aunts, uncles and cousins. Funeral services will be held on Thursday September 13, 2018 at 11:00am at Hebron Baptist Church with Rev. Casey Wright, Rev. Levi Jones and Rev. Jo Eva Wilson officiating. Interment will follow at Jowers Chapel Cemetery. The family will receive friends Wednesday evening from 6 until 9:00pm at Sims Funeral Home.